Objection #1: I don’t have a trailer! 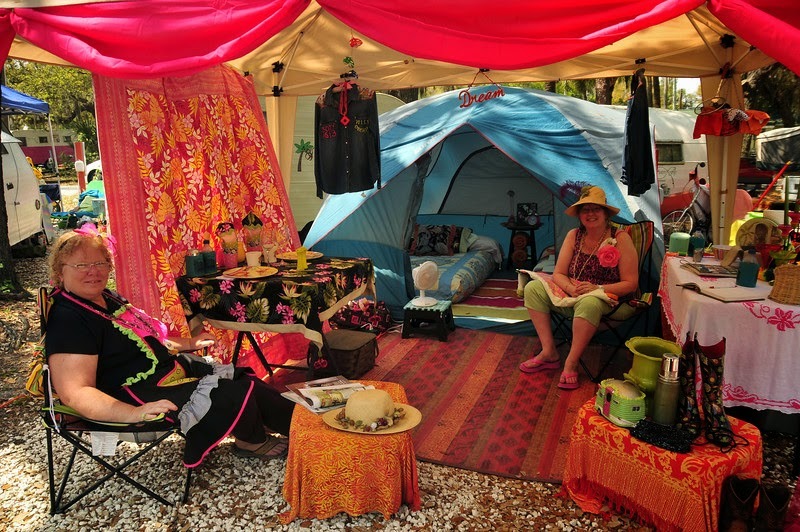 For those that believe that girl camping is all about the trailer I would like to share with you some pictures of women whose spirit is bigger than their budgets. They are not letting the lack of a trailer stop them from having girl fun. I really admire these women who have a very “can do” attitude and just want to be out there doing things and going places. They join in all the fun without the worry of towing and leveling and hooking up and backing in. It’s more about the people and places and less about the things, although their things are beautiful! Some tents are homemade. Some are store bought and glamped up. 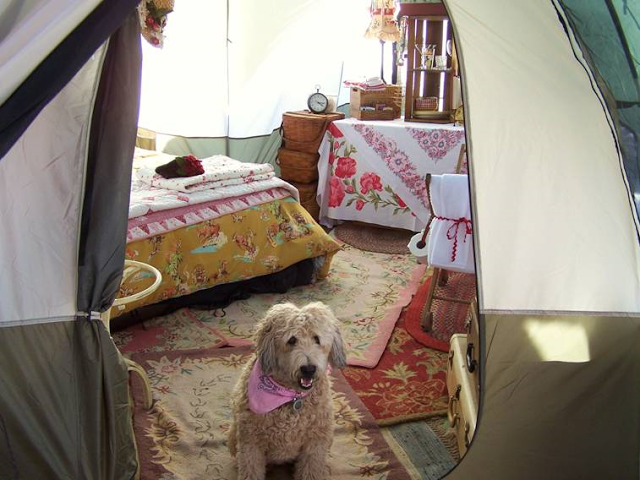 Some girl campers choose to rent a cabin or stay at a local B & B and visit the campsite. 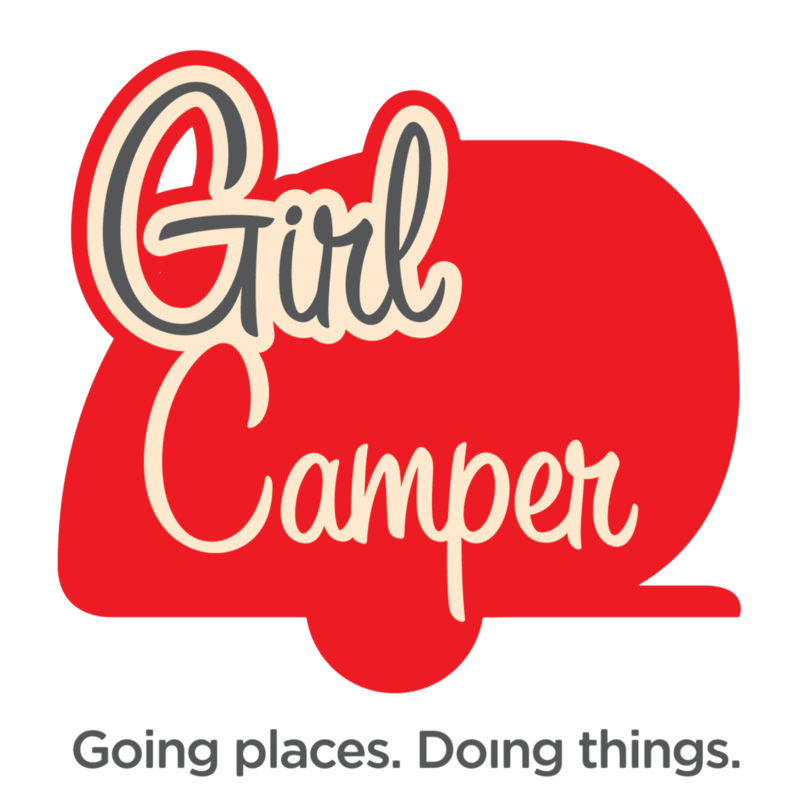 The point is to not let the lack of a camper keep you from enjoying all the fellowship and comraderie of women doing things together. It is actually better to go to these events without a trailer and ask questions about where to get a trailer, what a buyer should ask a seller, what is a reasonable amount to pay? Acquire lots of information. Know your likes and dislikes. Learn what features you want in a trailer. Decide if you want to go vintage or buy new and customize it to fit your style. Keep an open attitude and go camping with the idea that you want to be part of the great outdoors with people who do that with alot more pinache than most!! I would like to find out more about camping without a trailer as being on SSI disability, I am not allowed to own anything like that due to the financial requirements of the program for low income people, although it was my dream to do so. 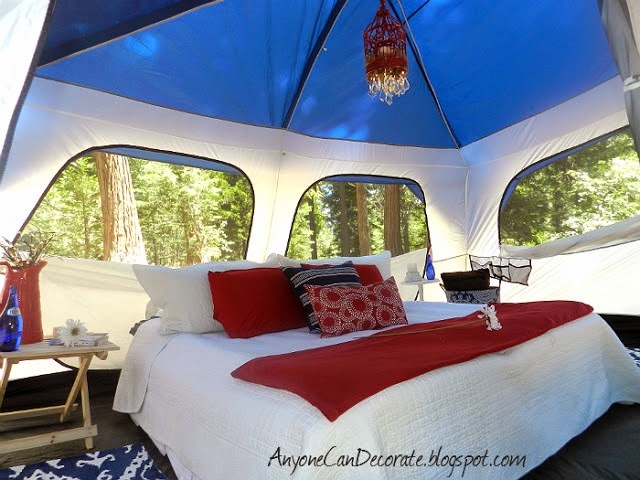 , so would be tent camping only.I live on $721.00 a month and have done some tent camping recently. I don't know how to contact you Janine Pettit to explore this further. What should I do?